Atlanta, GA: An Indian national who was employed at a Los Angeles County restaurant endured three years of slavery, including regular beatings, and feared for his life if he ever tried to escape, LATimes.com reported. However, The LA County district attorney’s office declined to file charges against restaurant owner Pardeep Kumar, due to lack of sufficient evidence and inconsistencies in the victim’s account. 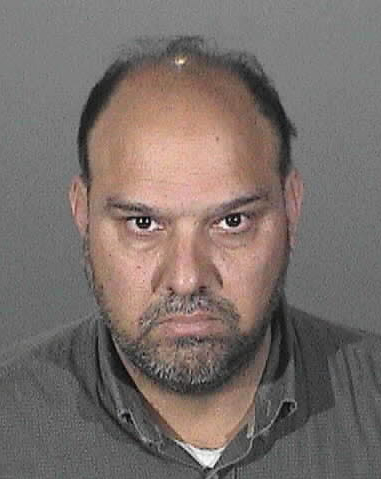 The owner of Tandoori Grill restaurant, 47-year-old Pardeep Kumar, was arrested last week on suspicion of human trafficking and holding a person in involuntary servitude, the report quoted Los Angeles County sheriff’s Capt. Merrill Ladenheim as saying. Later in the week, the charges were dropped. The victim told prosecutors he was allowed to leave whenever possible, but he chose not to leave the suspect “because he did not want to become homeless and he needed a job for immigration-related purposes that he went to the immigration office for every Monday,” SCV TV quoted the D.A. report as saying. The alleged victim also stated he had recently visited with his sister when she was visiting Los Angeles recently. “There was no discussion of any alleged assault with his sister, and the victim was reportedly “well fed” and able to use the business’ phone when he needed to,” according to the report. The victim then later again contradicted himself to a deputy who took the report in the victim’s language, Punjabi, according to officials. “Consequently, there is insufficient evidence presented to file allegations,” according to the report. An earlier report on LATimes.com said that the victim, a 55-year-old man whose identity was not released, came to the U.S. three years ago to work as a chef at Tandoori Grill, Ladenheim said. After confiscating the chef’s passport, Kumar beat his employee with a 2-foot-long piece of steel and a 3-foot-long metal mop handle. The chef also worked seven days a week, about 12 to 14 hours each day, according to authorities. He was prevented from having contact with the outside world, and he allegedly was forced to live in his boss’s Newhall home.Investigators learned about the alleged abuse after a fellow employee at the restaurant alerted the chef’s brother in Mumbai about the abuse, authorities said. The brother in Mumbai sent an email to the Indian consulate inSan Francisco. Later that day, Kumar was arrested and the chef was hospitalized for treatment.